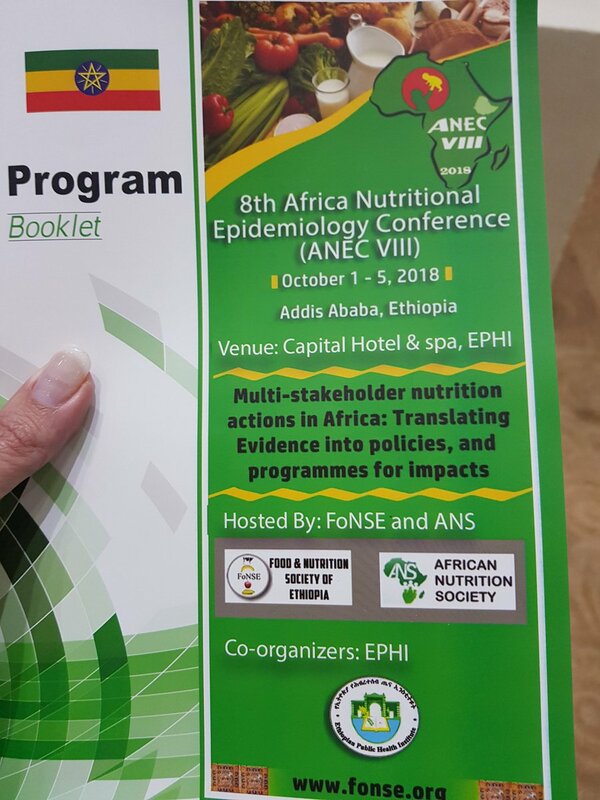 The Africa Nutrition Conference (formerly, Africa Nutritional Epidemiology Conference [ANEC]) is the leading regional nutrition conference in Africa held biennially in various parts of the continent. 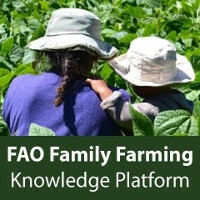 ANEC provides a forum for nutrition scientists, public health professionals, academics, students and field-based workers in Africa and the rest of the world to meet regularly to share their research findings and best practices and to build capacity to address nutritional challenges in Africa (the Africa Nutrition Agenda). Additionally, ANEC has sought to build professional networks and partnerships to support nutrition programmes and projects in Africa. 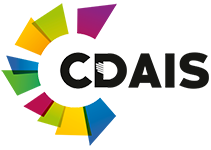 In 2008, it became necessary to have an oversight nutrition body with a registered status to oversee the activities of ANEC events. 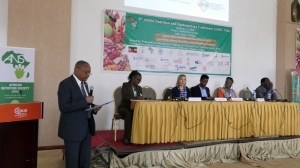 The African Nutrition Society (ANS) was registered as a scientific professional body and initiated as a unified continental nutrition profession of individual members, to provide a continental professional scientific forum, promote training, research and capacity building in nutrition and contribute to workforce development to meet Africa’s nutrition and health policy agenda. 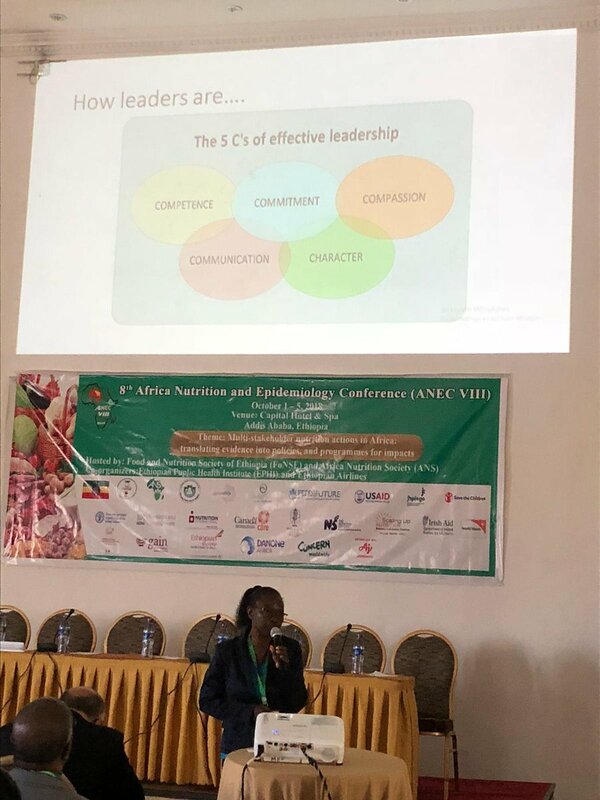 The ANS’ ultimate goal is to provide a home for nutritional scientists and other allied professionals, and contribute to programmes and projects aimed at improving nutrition in Africa and reducing the burden of disease. 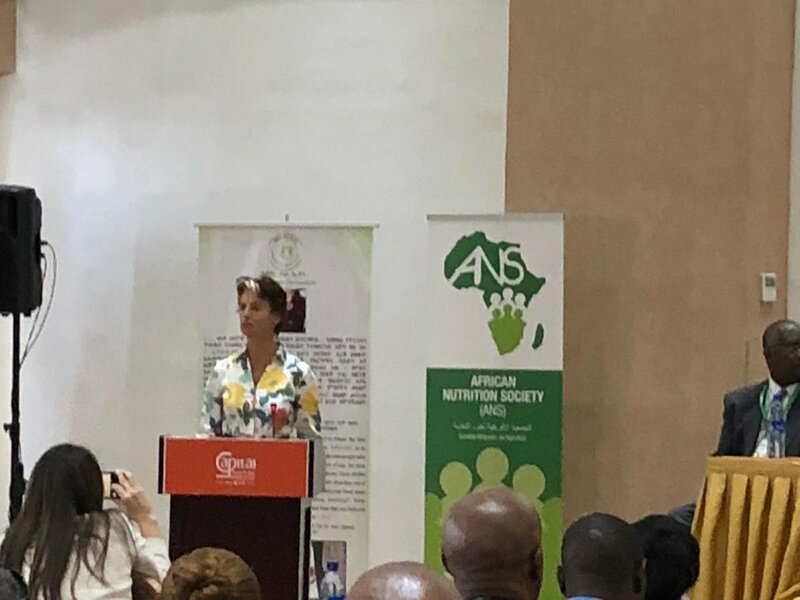 Supported by the Scaling Up Nutrition Movement, many countries are strengthening their nutrition plans, policies and programmes in order to achieve the ambitious Global Nutrition Goals as defined by the World Health Assembly. Policymakers however are in need of quality information on investments, programme, progress and outcomes to make adequate decisions. In the workshop, the experience of the implementation of these approaches in three countries: Mali, Niger and Ethiopia were shared and discussed. Though the platforms are not yet fully operational, important lessons can be drawn from the process these countries have gone through to set up and institutionalise their platforms. The event highlighted that low consumption of fruits vegetables, nuts, and pulses and animal source foods, significantly contributes to risk factors in the global burden of diseases. Traditional and indigenous foods contain micronutrients including vitamin A, calcium, iron zinc, folate, fibers, and anti-oxidants. However, despite their various benefits, African countries are underutilizing their locally adapted nutrient dense food resources. Therefore the symposium called for urgent action to add value to the traditional diets of African communities. The dialogue provided the platform for gathering of studies on traditional and indigenous food biodiversity and sharing of results on stimulating these essential food groups to improve the dietary intake, nutrition and sustainability of food systems in Africa. Stakeholders engaged in nutrition-sensitive agriculture, nutrition education or diet-related research and nutrition programmes were involved in the session. Existing agriculture strategies put significant emphasis on increasing production and productivity of staple grains and high value crops for the market, while little attention is paid to the role of traditional and indigenous food resources. 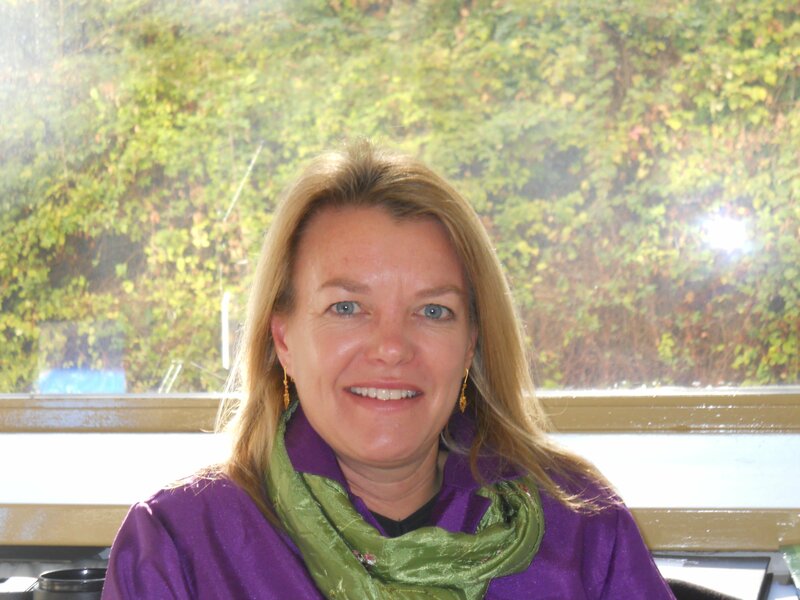 they have not been fully integrated into contemporary food systems. 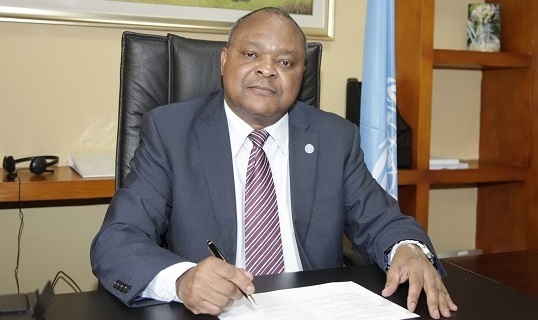 He encouraged African countries to take advantage of available resources to increase diversity of the food systems. 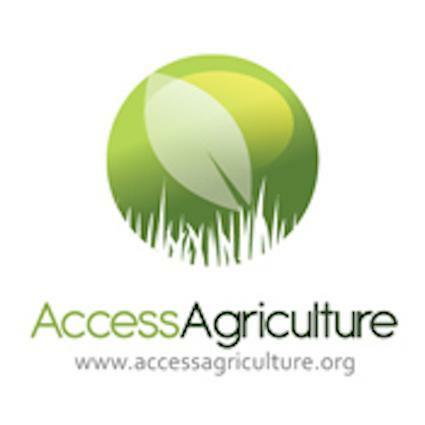 stated the role of research on this essential topic as it supports evidence generation which can be used for advocacy and awareness raising on the importance of traditional and indigenous foods while also informing the design and implementation of indigenous food related interventions and policies in Africa. 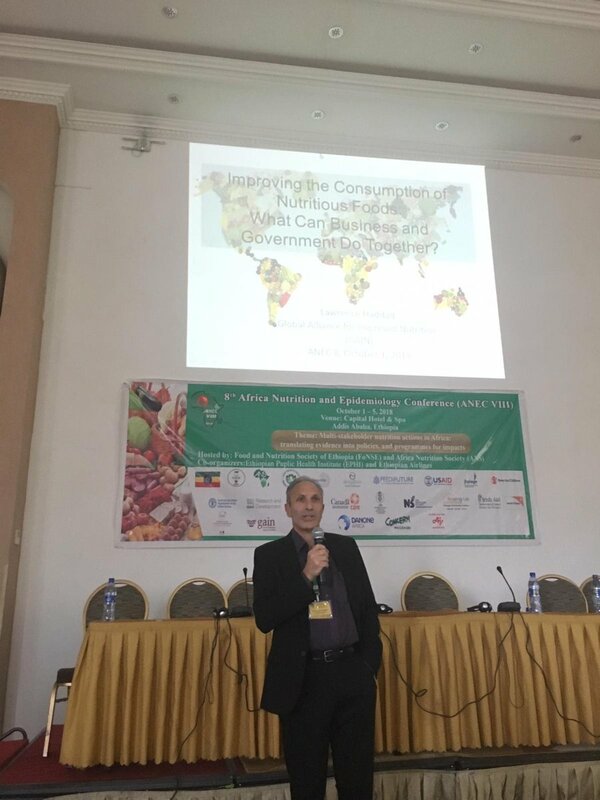 The potential of evidence based policies in African countries that incorporate traditional and indigenous foods to improve nutrition was underlined. The Biodiversity for Food and Nutrition (BFN) project, implemented by Bioversity, FAO and UN environment, amply demonstrated this potential. The symposium also recommended mainstreaming incorporation of traditional and indigenous foods into food-based dietary guidelines and other nutrition education materials. 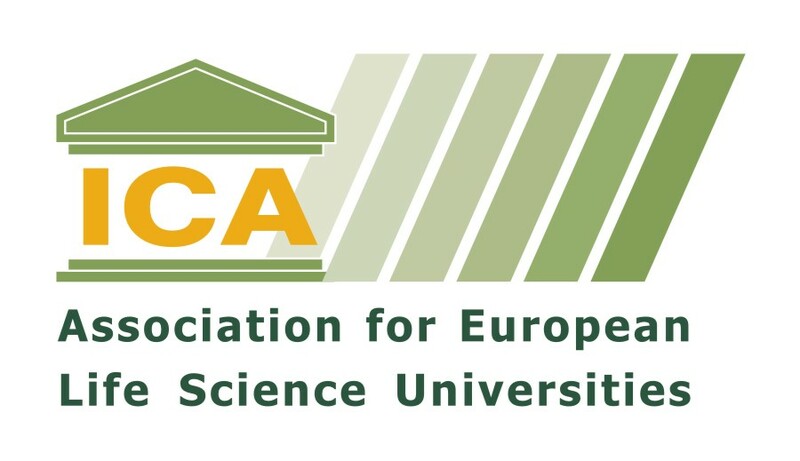 In addition it was highlighted that it is necessary for academicians to continue documenting these essential food groups to ensure healthier diets and sustainable food systems.